New York-based hand-lettering genius Jon Contino created the radiant folk-art design for the animated film featuring the Mexican ‘Day of the Dead’. 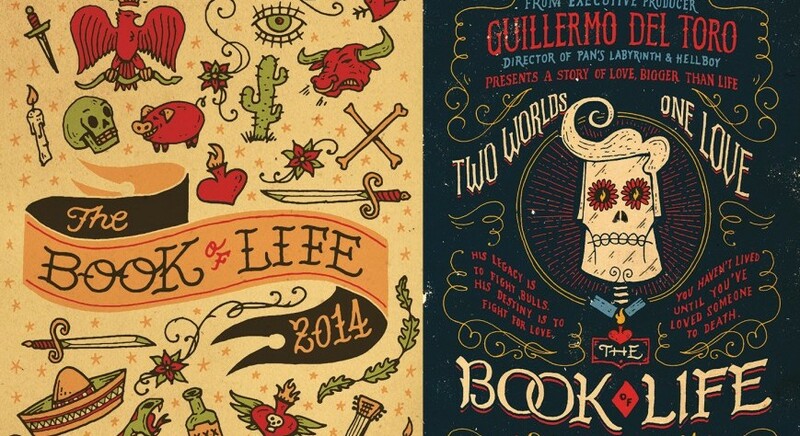 Under the supervision of art director Neri Rivas, production studio 20th Century Fox collaborated with the creatives at Jon Contino Studio to develop the overall branding, illustration, lettering, typeface, and marketing materials design for The Book of Life. The 2014 American 3D computer-animated film tells a story that is set in a supernatural world during the Día de Muertos, or the Mexican Day of the Dead. Everything in the animation has a puppet-like characteristic that Jon Contino implemented into the branding materials he designed. This includes the typeface, posters, promos, and merchandise that has a coherent stylish appearance. Visit the newly designed joncontino.com to see more dazzlingly crafted art and design. You might also want to check out these mind-blowing book designs by Iacopo Bruno if you crave to view more typographic art and designs!